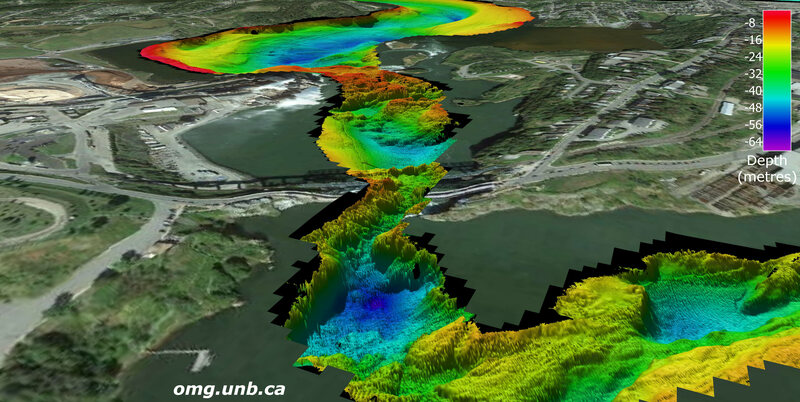 I put together some maps of the Reversing Falls in Saint John, New Brunswick. 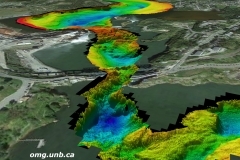 The maps use multibeam data collected by the Ocean Mapping Group in 2010 and 2008. 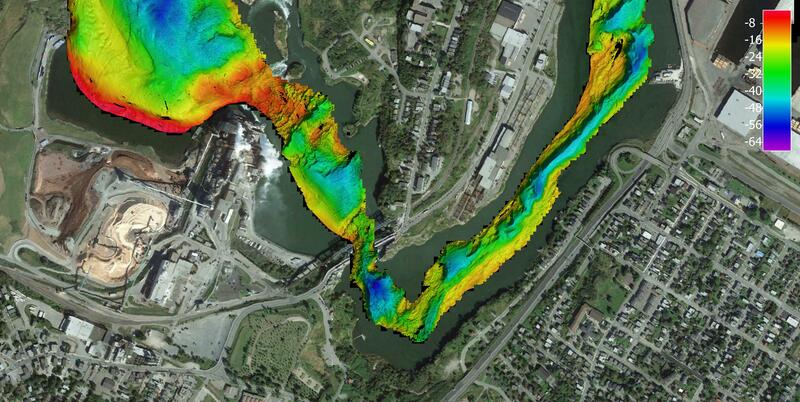 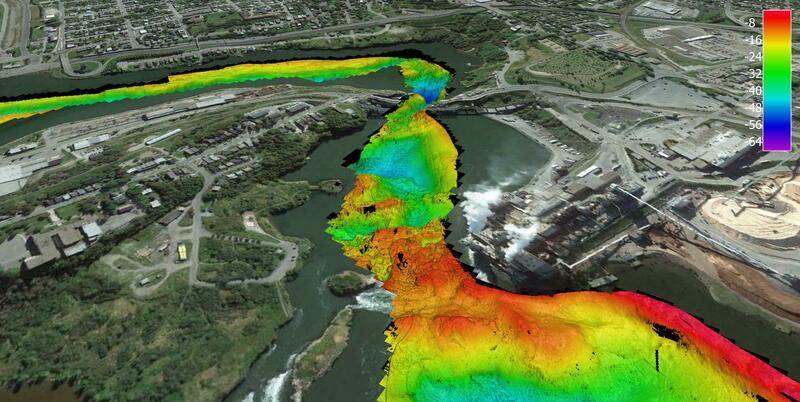 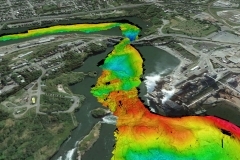 The 2008 data was collected using a Kongsberg EM3002 and the 2010 data collected using a Kongsberg EM710. 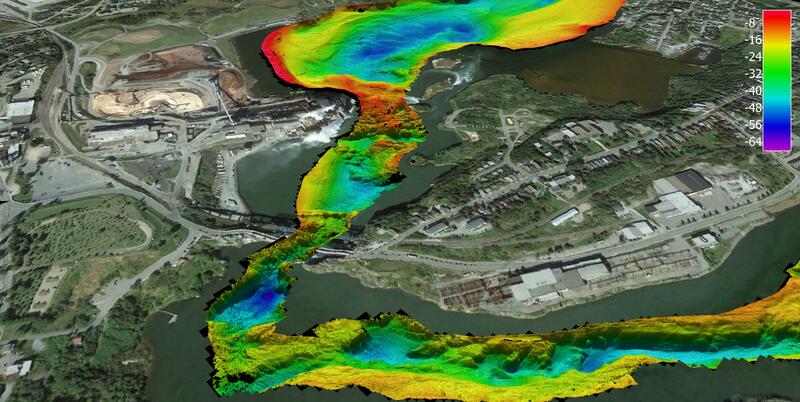 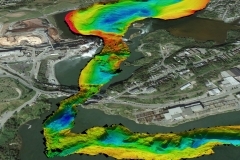 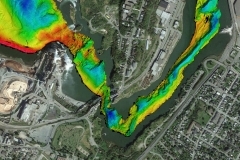 Data was processed using QPS Qimera and the images were generated using QPS Fledermaus.